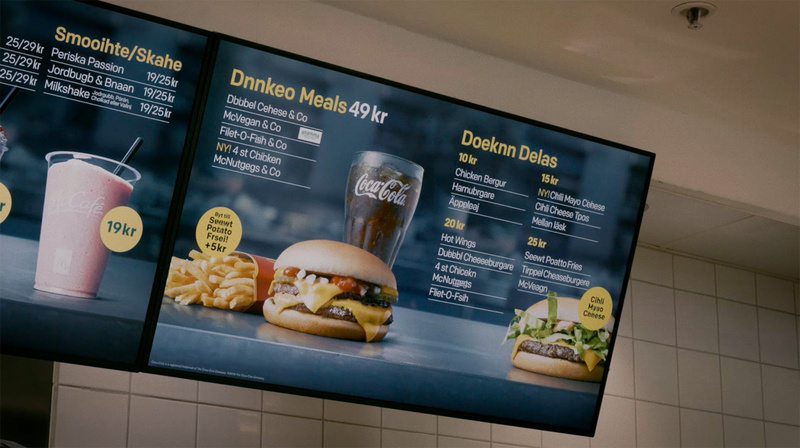 To give all Swedes a sense of what it feels like to live with dyslexia, McDonald’s made the invisible diagnosis visible for Dyslexia Awareness Day, October 4. The brand let its digital outdoor advertising nationwide and even the restaurant menu boards simulate what it feels like living with dyslexia. McDonald’s is Sweden’s biggest promotor of reading thru Book Happy Meal. Over 15,5 million children’s books have been distributed via Happy Meal since 2001 in co-operation with Läsrörelsen (The Reading Movement). This year one of the books in the popular Happy Meal campaign has a dyslexia theme and gives the reader an understanding of what it’s like to grow up with reading disabilities.